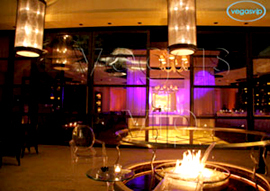 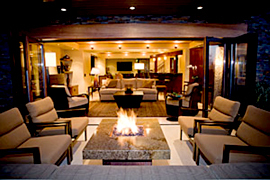 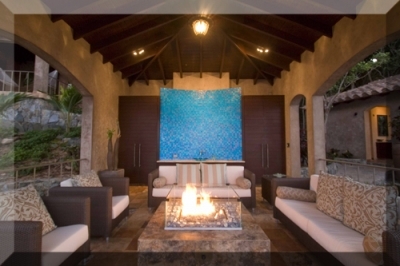 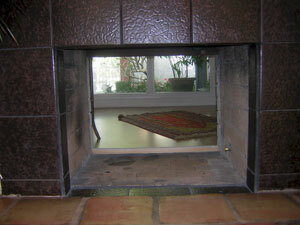 This Palm Springs fireplace had serious lack-of-flame issues. 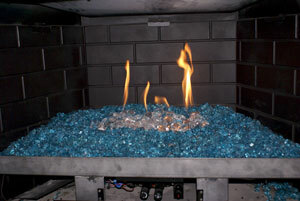 Done with 2" layer of fireglass the burner however was inapropriate at outputting enough fire. 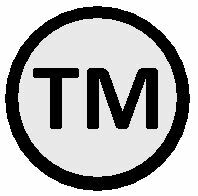 We will explain as we move along. 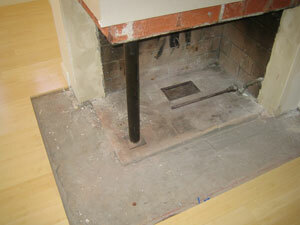 We uncovered to see what was installed and found a single pipe burner. 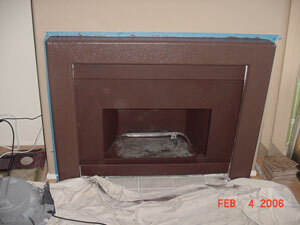 Another issue was the paint job was hideous which was later repainted. 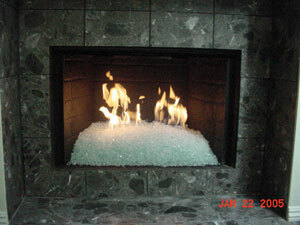 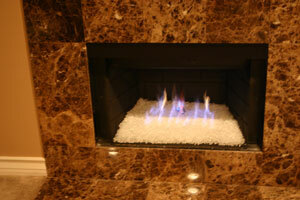 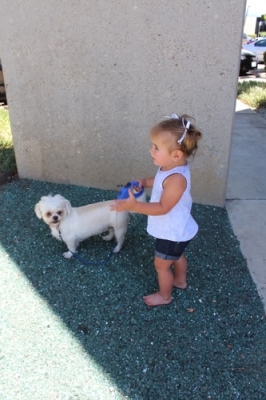 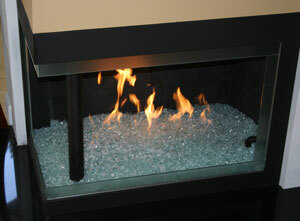 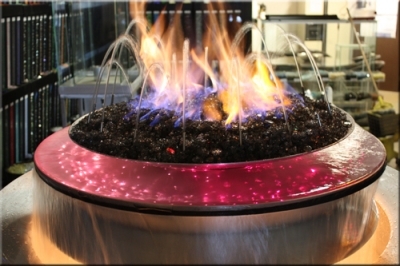 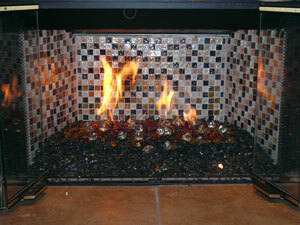 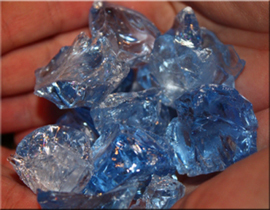 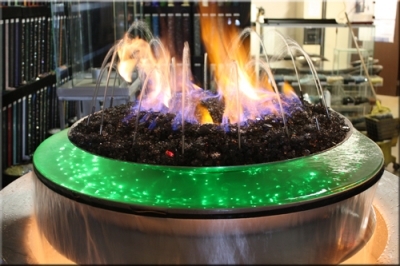 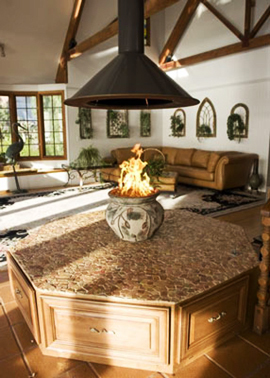 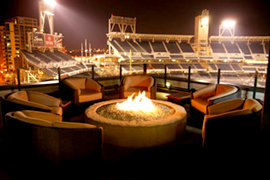 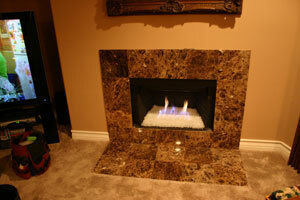 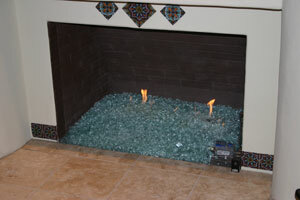 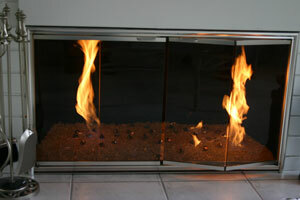 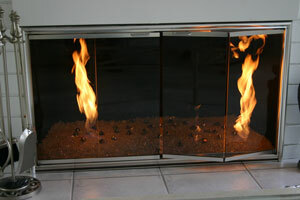 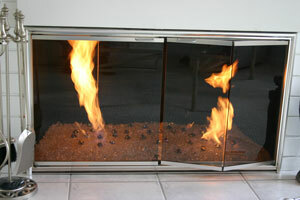 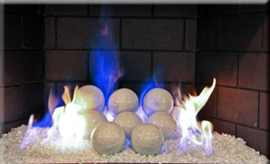 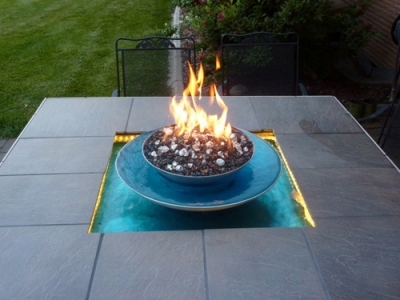 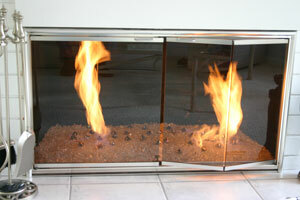 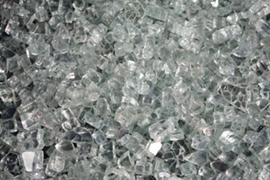 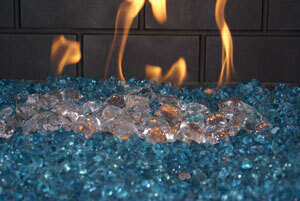 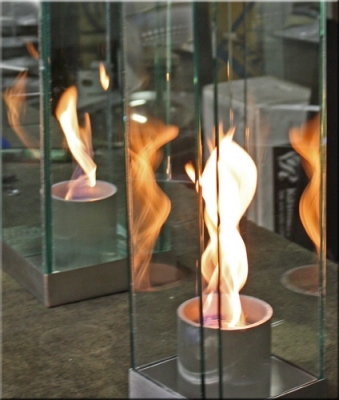 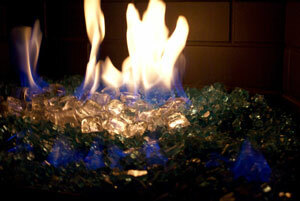 We do approve of a sand filler indoors under lighter colored glass, but the burner must be on top! 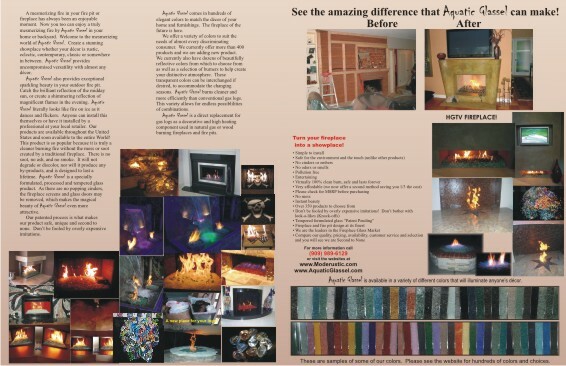 Below is what they pawned off on the customer, DON'T LET THIS HAPPEN TO YOU! 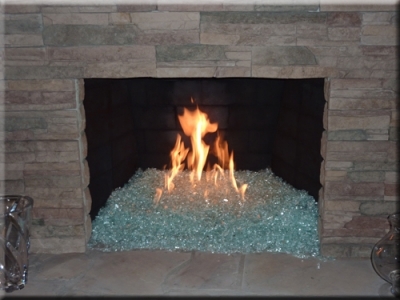 The pictures below we will be showing how to do a 3" install (all glass), a surround painted black and a triple burner with ice and Starfire. 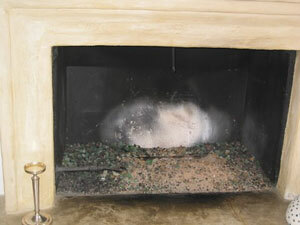 Above and below are a typical of what most fireplaces look like (yuk). 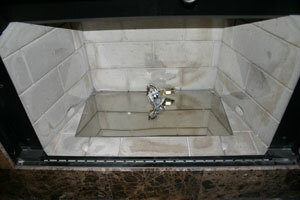 Above and below with a triple burner, some cleaning and a little bit of paint. 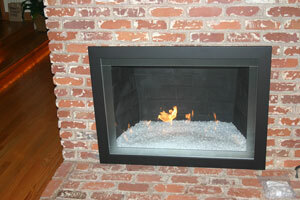 Above and below we installed an aluminum surround painted black. 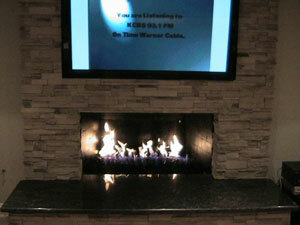 Only Starfire is installed for now. 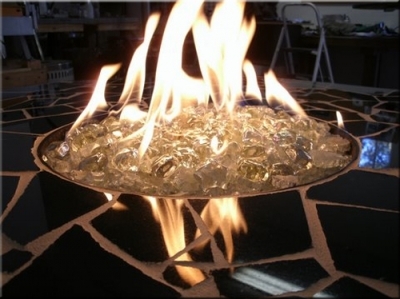 It's hard to see but we did install Ice on top of the Starfire. 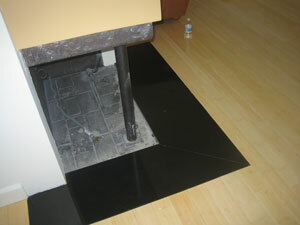 If you noticed we had to pile a small mound in the front to cover the massive pipe connection. 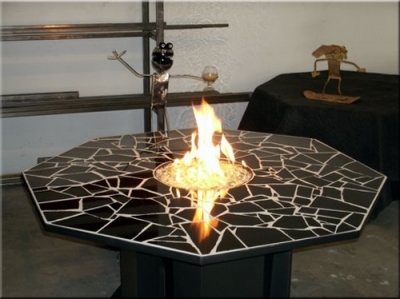 Did you even notice it in the first few pictures? 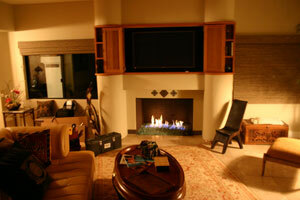 With the surround it make the room. 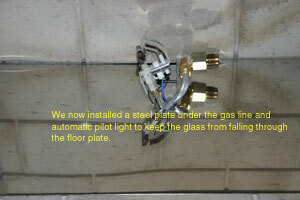 We are proud of our inventions and ideas because our customers are always pleased. 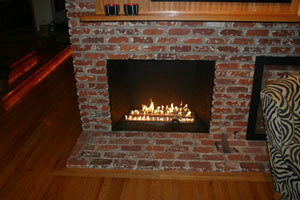 This is a new home with logs and a screen, average at best. 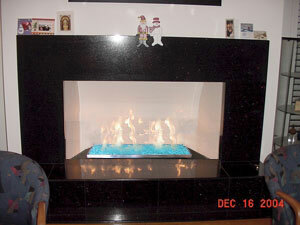 Has anyone ever come over to your house and said" Nice Logs"? 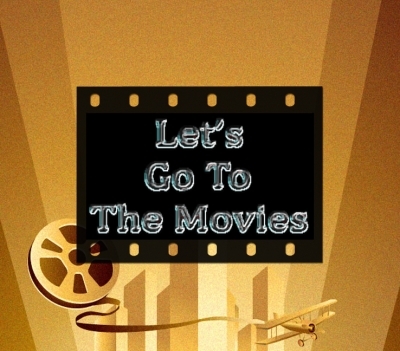 No and we are going to show you how to create a masterpiece! 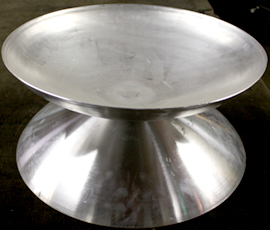 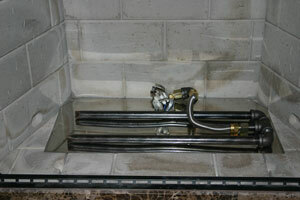 The pictures below are of a typical direct vent burner. 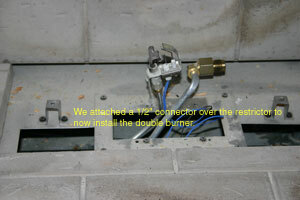 This is a picture of the automatic starter and thermo coupler. 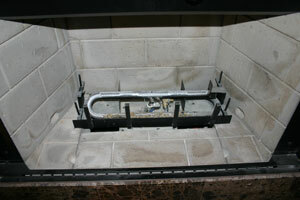 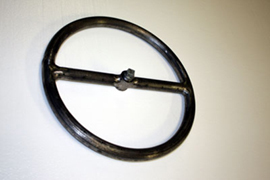 After you have closed off the bottom of the fireplace and attached the adapter, your ready for glass! 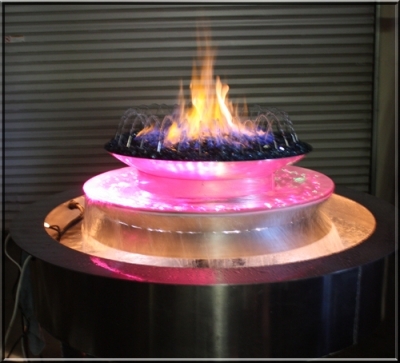 Here we are testing the burn pattern of the double burners. 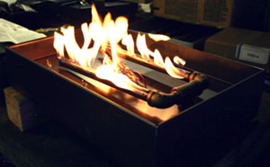 Our burners have 2 rows of holes in each pipe to give you 4 rows of flames. 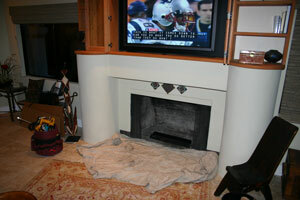 Here we installed an aluminum surround that has been painted black. 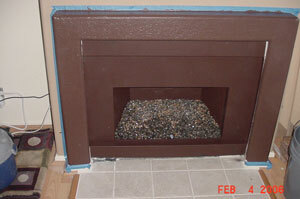 We have several more pictures of this fireplace with Ice and a few colors of Toppers installed and we will have these pictures up in a few days. 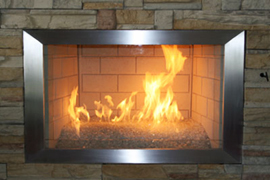 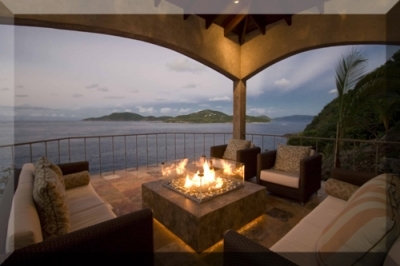 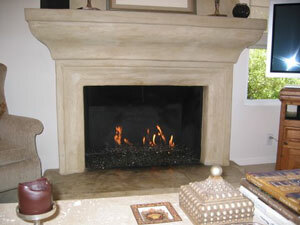 See More direct vent fireplaces here. 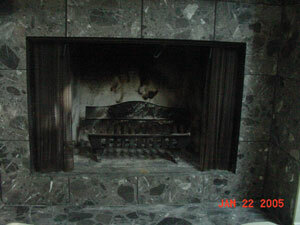 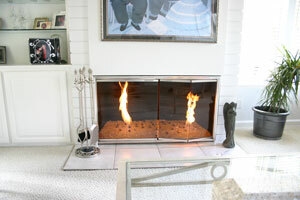 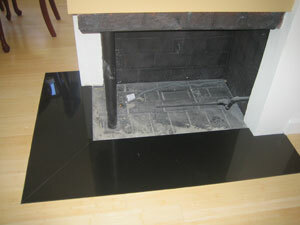 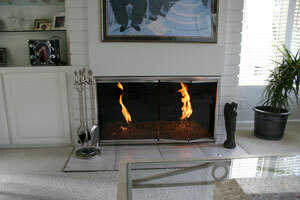 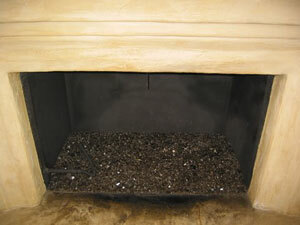 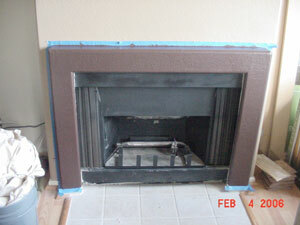 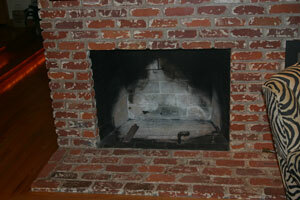 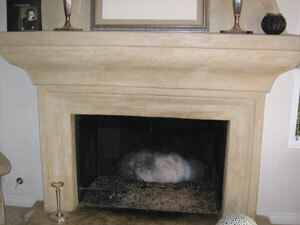 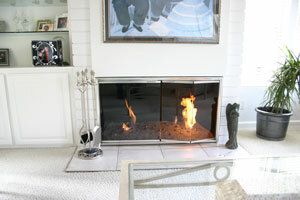 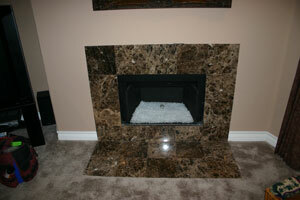 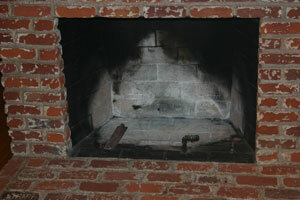 Here is a fireplace before and after with Clear. 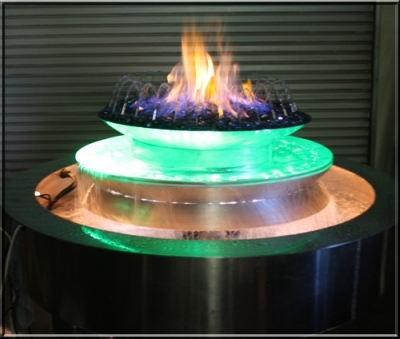 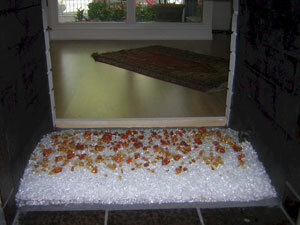 The stainless steel tray below hasAzurlite in the tray. 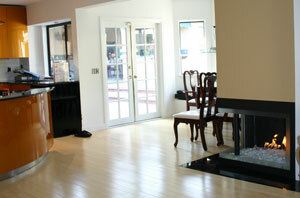 A very clean and simple look. 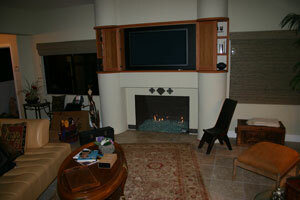 The fireplace below has a larger surround andStarfire installed. 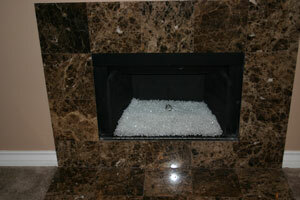 Please note the this surround is the metal shell only without the inner frosted glass. 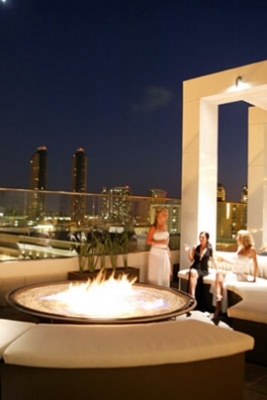 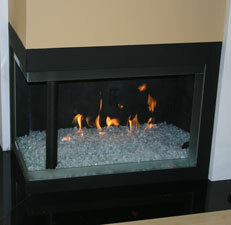 The fireplace below has Black and Black Reflective installed. 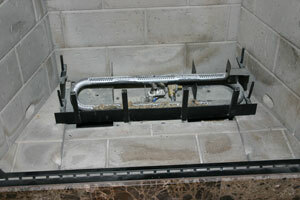 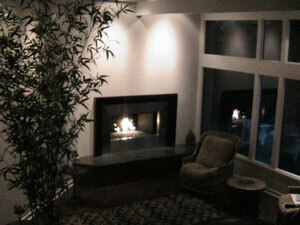 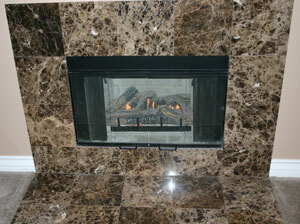 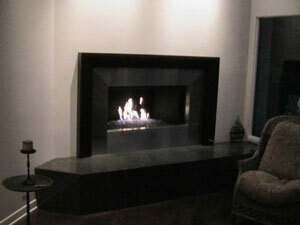 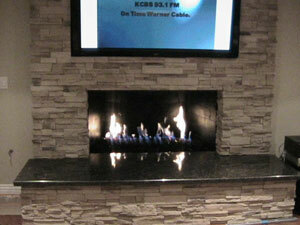 The fireplace below is a direct vent installation with Gray, Gray Reflective and Clear Pyrite installed. 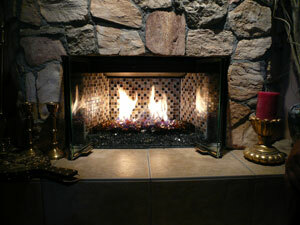 Has anyone ever said "Nice Logs"? 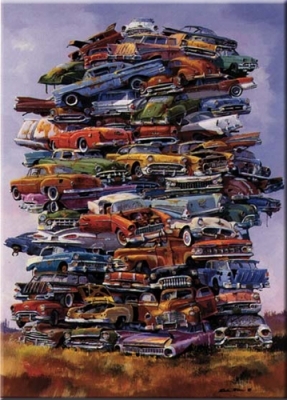 I don't think so. 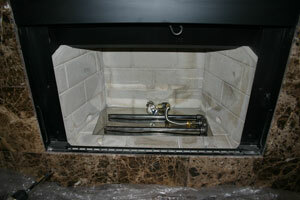 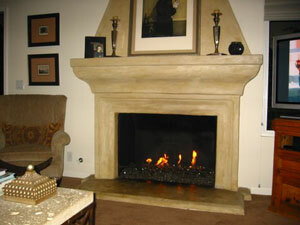 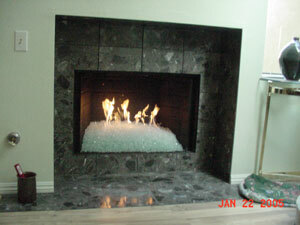 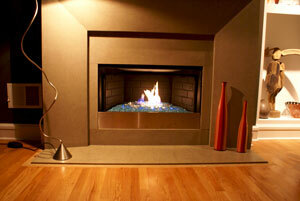 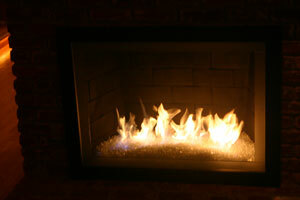 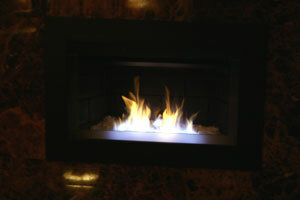 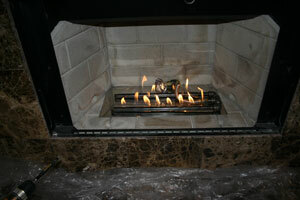 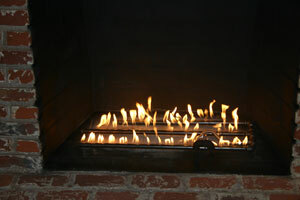 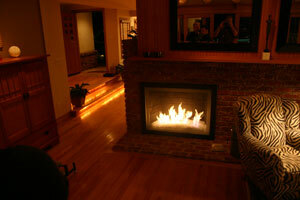 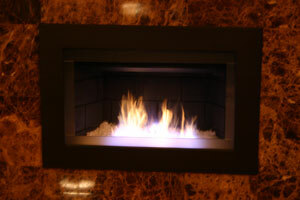 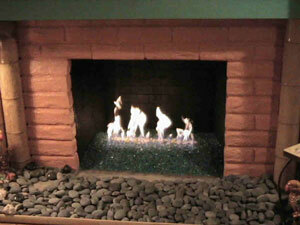 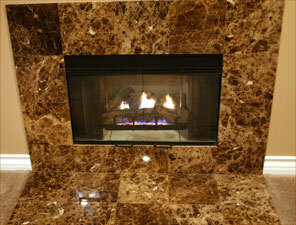 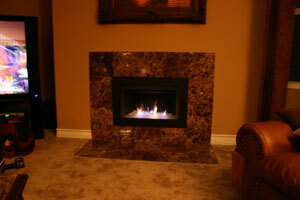 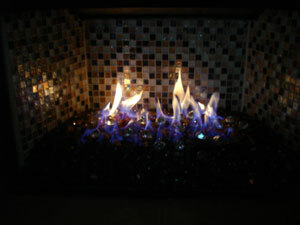 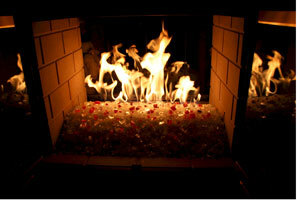 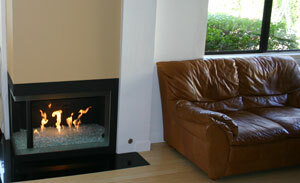 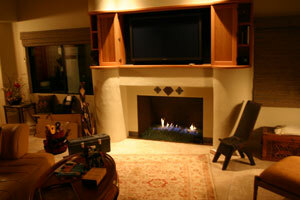 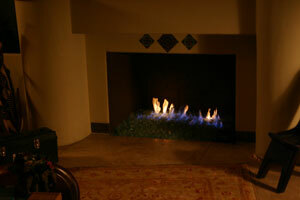 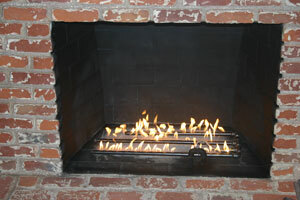 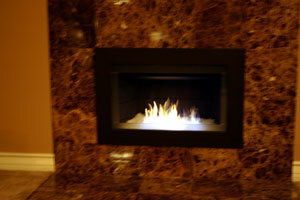 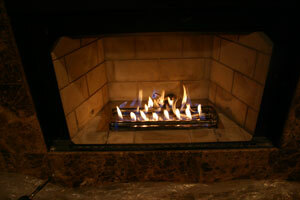 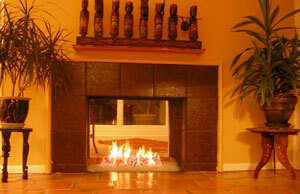 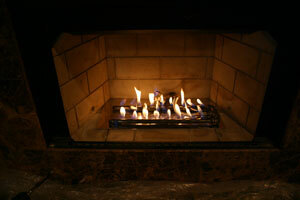 We are going to show you how to transform your direct vent fireplace into a real attractive fireplace. 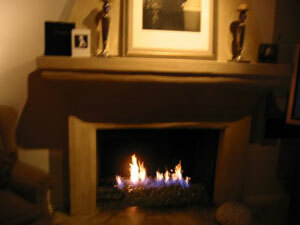 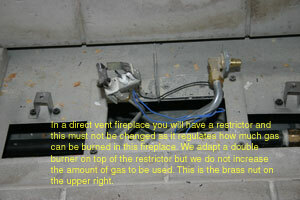 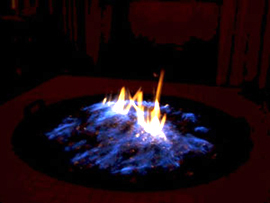 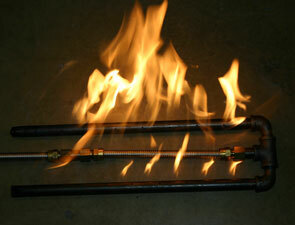 The key is not to change the amount of gas going into the fireplace, so don't change the regulator. 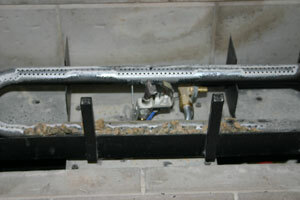 The thermo coupler (heat detector) will be raised to the surface to insure it will still work. 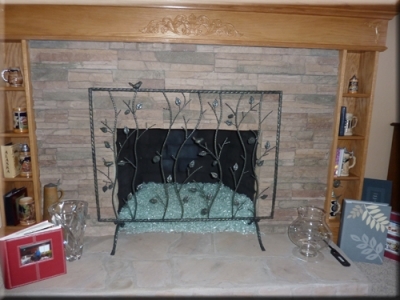 The 4 pictures below are all Clear glass. 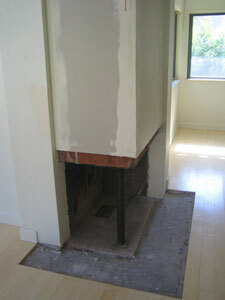 The fireplace below has Red and a Clear base.